The updated information clarifies how title fees and providers of settlement services should be listed on the GFE, the Written List of Service Providers, and the comparison table on page 3 of the HUD-1 (page 2 of the HUD-1A). The 1 percent origination fee cap on FHA-insured loans originated under FHA's standard mortgage insurance programs has been removed, according to HUD. A Monmouth County, N.J., grand jury charged the operators of two title insurance agencies with stealing more than $780,000 from clients who expected the money to be used to pay off mortgages or other debts. The Texas Department of Insurance commissioner must now render a final decision on rates. Florida Supreme Court Chief Justice Peggy A. Quince issued an administration order implementing aspects of a managed foreclosure mediation model recommended by a court-appointed task force last month. Although the new regulations don’t begin until January, Title Guaranty officials said the company has received several requests for GFE quotes from both local and mainland lenders. First American Corp. is opening a Phoenix call center where it expects to employ about 400 people within two years. A title insurer can be liable for attorney theft of a homebuyer's funds if it fails to directly tell the client it is not responsible for any misdeeds, a New Jersey appeals court held recently. Few would argue that the title business is, and always has been, relationship-oriented. But with budgets dwindling, turnover increasing and markets changing, enterprising users are finding that recruiting, relationship-building and even marketing can be enhanced at the keyboard rather than at the cost of a fax, letter or flight. The Minnesota Department of Commerce has revoked the title insurance license and fined $100,000 for engaging in fraudulent and dishonest practices. The U.S. Department of Housing and Urban Development has released a 49-page Settlement Cost Booklet, which lenders and mortgage brokers must provide within three days after a consumer applies for a mortgage loan. The booklet includes a section that informs consumers of the importance of an owner's policy. Stewart's ratings reflect its adequate capitalization as evidenced by its fairly moderate underwriting leverage, the ratings firm reported. The report indicates the industry makes a dedicated effort to mitigate and settle the rising amount of claims. The chairman of ALTA's RESPA Implementation Taskforce said uniformity will benefit the loan originator, settlement agent and consumer by reducing the incidence of errors, thereby eliminating problems at and after the settlement as well as speeding up the settlement process. Ever been at a loss of words to explain the importance of your profession? Wished there was a concise way to explain to your family and friends what it is you do? Here's your answer. ALTA's Public Relations Committee has written a "Title Industry Elevator Speech," which you can use to describe your business. Compiling information provided by its RESPA Implementation Taskforce, ALTA's Land Title Institute has released a 70-minute training CD designed to provide best practices for implementation of the new GFE/HUD-1. Implementation deadline for the new forms is Jan. 1, 2010. Titled "Closing Real Estate Transactions in 2010," the CD provides a line-by-line discussion of how to fill out the HUD-1, along with an overview of RESPA and the Final Rule. The CD can be ordered here. Cost of the CD is $99 for members and $149 for non-members. Knowing a property’s boundary is of fundamental importance in nearly all real estate transfers. Yet, experience tells us land surveying and boundaries are one of the least understood and most overlooked elements. Read on to learn how surveys help identify property boundaries and why they may need to be performed in real estate transactions. Seven U.S. banks were closed by regulators last week, bringing the total this year to 140 as the effects of the credit crisis continued to be felt across the country. Missouri-based Agents National Title Insurance Co. will implement ResWare in an effort to improve productivity and better serve its agent network. Attorneys’ Title Guaranty Fund’s nonprofit partnership, foreclosure-prevention services and cash contributions have helped thousands of at-risk families. Designed to facilitate one data model, Version 3.0 allows for the easier application of e-signatures, supports strong data security needs, strengthens data validation and promotes data transparency. A proposal to amend a portion of the Truth in Lending Act to include title fees in the finance charge for residential mortgage transactions could result in severe consequences to the title insurance industry, including the pressure to lower fees, deregulation of rates and the possibility of lenders wading deeper into the title insurance business. In 2010, the Florida title insurance industry will once again deal with a proposed bill that would bring an end to promulgated rates by establishing a file-and-use rate setting model and radically restructure the economics of all title agents by abolishing the premium split. While Keefe Bruette & Woods project mortgage originations will fall 24 percent to $1.6 trillion in 2010, the consulting firm reports the title insurance industry will benefit from improved pricing, better agent splits and continued expense management efforts, providing some offset to the slowing volumes. Thomas Title & Escrow has added Brett Hopper, who has experience in residential development and investment. The modifications incorporate substantive changes to the examination guidance and procedures as a result of revisions to the Real Estate Settlement Procedures Act regulations. Patty Beverly, vice president, escrow operations manager and Southern California regional escrow director for First American’s National Commercial Services office in Santa Ana, Calif., has been selected as the first recipient of the Orange County Escrow Association’s new Lifetime Achievement Award. Home sales increased nearly 15 percent in November, compared to the same period last year, buoyed by a surprising 25 percent spike in new home sales. The American Land Title Association has opened its Call for Presentations for the 2010 Business Strategies Conference, which will be held May 2-4 at the Hyatt Regency in St. Louis, Mo. The deadline for submissions is Dec. 18. Real Estate Disposition has signed an agreement with Pulte Homes to acquire the Commerce Title retail title insurance platform. The builder will retain the title operations supporting its new home sales. Former employees of Denver-based Mercury Companies working at Financial Title Co., Lenders Choice Title Company and Lenders First Choice Agency Inc., will receive $4.29 million. Stewart Lender Services reported the alliance with StreetLinks will help the company support lenders throughout the lifecycle of a loan. The acquisition will add broker price opinions, closing and settlement services, valuation services, flood and title certification, home retention and loan modification solutions, and vendor management solutions to ISGN’s portfolio of products and services for residential mortgage lenders. To comply with the SAFE Act, states must put in place a Loan Originator Licensing program that requires originators to take an education course, pass a test, and undergo civil, criminal and financial background checks. The First American Corp. filed a Form 10 registration statement with the SEC, which is an important step toward completing the spin-off of the company’s financial services group from its information solutions group. As an American Land Title Association member benefit, ALTA will provide free access to a Dec. 18 discussion with growth strategy expert Darryl Turner, CEO of Title Solutions Group, who will offer advice to help title agents finalize 2010 business plans, build a stronger team and grow market share. Producers authorized to sell title insurance, during renewal every two years, must show proof of eight hours of continuing education. Old Republic International Corp. has made several executive changes in its title insurance segment that take effect July 1, 2010. Birny Birmbaum has not reapplied to serve as the consumer representative for the National Association of Commissioners in 2010. The increases of the past two quarters erased about two-fifths of the declines registered during the final quarter of 2008 and the first quarter of 2009, according to Freddie Mac’s Conventional Mortgage Home Price Index Purchase-Only Series. The American Land Title Association announced its support for a bipartisan bill introduced in the House of Representatives by U.S. Reps. Melissa Bean (D-IL) and Shelley Moore Capito (R-WV) that would bring greater transparency to the mortgage lending process by allowing borrowers more time to review their closing documents. First American Title Insurance Co. claims one of its attorney agents in West Virginia failed to conduct a thorough search and obtain approval to insure for amounts exceeding $250,000. Both a short sale and a DIL provide an opportunity for borrowers and servicers to avoid the foreclosure process. Read on to see what the requirements are for this program and learn how your agency could become involved in the process. The live interactive online presentations offer “plain English” on a host of compliance issues to increase readiness of settlement service providers and lenders for the Jan. 1 implementation deadline. Equitable Trust Mortgage failed to properly disclose all loan origination fees, as well as lender fees to mortgage brokers, according to the Federal Housing Administration. The First American Corp. said Frank V. McMahon has stepped down as chief executive officer of its Information Solutions Group, while Anand K. Nallathambi will now serve as president and COO. Property rights involving beachfront properties are being disputed in the U.S. Supreme Court and the Texas high court. Read on to learn more about the debate. Because lenders are now required to provide initial TILA disclosures for all loans, title agents will want to be as precise as possible in estimating final title costs, including title premium, additional endorsements, title exam, courier fees and other associated fees. TitleVest has launched an online application that streamlines the title insurance review and closing process. Ingeo Systems’ footprint is now available in 308 counties, in 27 states, plus the District of Columbia. The lender plans to convert Wachovia branches in Arizona, Nevada and Illinois to Wells Fargo in March, and rebrand Texas branches later next year. The national provider of property data was named the New Jersey Technology Council’s Software/Information Technology Company of the Year for 2009. Well Fargo Home Mortgage will implement the new requirements in mid-December, while the lender’s wholesale division will begin using the new forms in early December. Read on for some guidance from Wells. The Massachusetts Office of Consumer Affairs and Business Regulation issued regulations that go into effect March 1, 2010 establishing new minimum standards for safeguarding personal information. The company’s owner allegedly admitted that he had approximately 100 loan files from transactions as old as 2004 in which a policy still needed to be issued even though he received title premiums and other fees at closing. Stewart Asset Recovery, a division of Stewart Default Services, based in Irvine, Calif., is led by Michael Harris. The action prevents Ideal Mortgage Bankers from originating and underwriting new FHA-insured mortgages or issuing Ginnie Mae securities. The Ohio Legal Assistant Foundation (OLAF) recently withdrew a proposal that would have impacted Interest Only Trust Accounts and Interest on Lawyer’s Trust Accounts in the Buckeye State. The latest update includes guidance on the written list of providers, blocks two and three of the GFE and page 3 of the HUD-1. The contest offers sustainably minded real estate professionals a chance to gain recognition and win a free membership with the Arizona Green Chamber of Commerce. The bank recently acquired a full-service Florida-chartered commercial bank headquartered in Naples and a full-service federal thrift headquartered in Sarasota. The city of Norfolk, Va., and Chesterfield County., Va., both recently began electronically recording (e-recording) land record documents such as deeds and mortgages submitted by title companies, abstractors, banks and attorneys. The ALTA Board of Governors approved five forms during a meeting on Oct. 22 at the Annual Convention. The combined entity of Attorneys Title Agency and Seaver Title Co. will have 18 offices and 400 employees throughout the state. According to the indictment, Richard G. “Rick” Burton and Kathy Cyrena Allen conspired to defraud financial institutions of more than $2.6 million through a series of illegal financial transfers related to stolen escrow payments. The company’s underwriters and title offices will implement more aggressive and comprehensive policies that are environmentally friendly. North Carolina-based based Investors Title Co. reported premiums written benefited from an increase in the level of purchase transactions as home buyers took advantage of very low mortgage interest rates as well as various government stimulus programs. Last month 22,132 new and resale houses and condos closed escrow in Los Angeles, Riverside, San Diego, Ventura, San Bernardino and Orange counties, according to MDA DataQuick. The U.S. Department of Housing and Urban Development released another installment of its Frequently Asked Questions document pertaining to the new Real Estate Settlement Procedures Act (RESPA) rule to be implemented on Jan. 1, 2010. The American Land Title Association complimented the U.S. Department of Housing and Urban Development’s decision on Nov. 13 to exercise restraint in enforcing the new regulatory requirements under the RESPA rule for the first four months of 2010. The Federal Housing Finance Agency FHFA also has extended the high-cost loan limits for mortgages originated in certain high cost areas, up to a maximum of $729,750 in the contiguous United States through 2010. Allan Wasserman joins Fidelity National Title and will be responsible for underwriting and business development for Fidelity’s Major Accounts Division, including commercial default business. Antonio Catalano will take on a development role, servicing existing customers and working to build new relationships and sales. TI Services LLC announced that it has recently upgraded its title insurance website myTitleIns.com to include a new Consumer Protection Rating feature. Read on to see which title agents made contributions last month to the Title Insurance Political Action Committee, which is the collective voice of the title insurance industry and plays a critical role in advocacy on behalf of the industry. Following a trend in the marketplace to reduce its risk, Bank of America recently changed its title insurance policy on loans held in its portfolio. The owner of MacImage of Maine plans to collect all land records recorded in Maine’s 16 counties and consolidate them on a Web site. Title insurance industry professionals are encouraged to participate in a phone seminar on Nov. 18 titled “Think Twice! How to Recognize and Avoid Risk in Decision-Making,” to learn how to avoid blunders when making critical decisions. The agency’s annual actuarial study shows its capital reserve ratio is below the mandated level. David Verklin, the CEO of Canoe Ventures, a joint venture founded in 2008 by the country`s leading cable operators, becomes the sixth member of Entitle’s board. The Missouri Land Title Association plans to appeal a county ruling that said county recorders were not limited by the state’s Sunshine Law and could charge up to their statutory fee for bulk sales of documents, which would significantly increase the cost of plant ownership and plant use. There are several eligibility requirements to the program, including the conveyance of marketable title. Three draft bills have been introduced that would create a New York title guaranty fund and require that the cost of title insurance be enough to support affordable housing, infrastructure and other programs; establish a title insurance fund administered by the New York insurance department; and require a study of title insurance premium rates in the state. Over the past year, title insurers have reduced their workforce 13 percent and now employ 67,500, according the Bureau of Labor Statistics. Steve Vivanco will be responsible for business operations and expanding Stewart’s footprint in California. Check out the great collection of images captured from the annual convention. The title insurance industry is beginning to see the bottom of the housing slump as order is being restored to the chaos within the financial markets. Read on to find out what California-based technology firm CentRealTech says companies in the title insurance industry should be doing to prepare for a full recovery in light of current challenges. The Federal Trade Commission for the fourth time has extended the compliance date for the "Red Flags" rule, from Nov. 1, 2009, to June 1, 2010. Catharine “Kitty” Oliver, the wife of Richard Oliver, a former American Land Title Association president, passed away Oct. 20. The Title Industry Political Action Committee has raised more money than ever before and is nearing its goal of raising $250,000 in 2009. Read on for third-quarter earnings summaries from Fidelity, First American, Stewart and Old Republic. Read on to learn why a New York Supreme Court judge ruled a title insurance company did not breach its duty of good faith and was not obligated to pay on the title policy. The owner of New England Title & Escrow Services recently met with President Obama and Massachusetts Gov. Deval Patrick to ask their help to streamline the closing process. The city signed an agreement with eRecording Partners Network that will allow it to automate the receipt of land record documents. Darryl Schroeder will serve as controller for and Long & Foster Settlement Services, Prosperity Mortgage Co., Walker Jackson Mortgage Corp., Long & Foster Insurance Agency Inc. While Mark Bilbrey may consider himself an “Average Joe” title guy, the rest of the title insurance industry thinks otherwise. Bilbrey, a 38-year industry veteran, became the 56th person to receive the American Land Title Association’s Honorary Membership. Mark Bilbrey, a 38-year industry veteran, became the 56th person to receive the American Land Title Association’s Honorary Membership. The latest installment of Frequently Asked Questions focuses on reverse mortgage loans, the lender-broker relationship and government programs with approved service providers. The Nevada Department of Business and Industry Division of Mortgage Lending issued a cease-and-desist order against Las Vegas-based Escrow Unlimited for violations of the state’s escrow agency law. By utilizing electronic notaries, in conjunction with its online transaction system, Stewart Title of Albuquerque says it can provide a completely paperless transaction from order entry through signing and recording. Douglas Forsyth, a veteran of the title insurance industry, and TitleVest Agency have joined forces to form Manhattan-based Excalibur Title Agency. An executive-level panel has been formed by the Mortgage Bankers Association (MBA to make policy recommendations to help ensure that the Federal Housing Administration (FHA) can continue to fulfill its mission in an evolving mortgage marketplace. The number of people employed in the title insurance industry has been drastically reduced in the past few years, largely due to the economy. However, we know that the economy will not be like this forever. When business starts to pick up again, it is the wise supervisor who will find innovative ways to train new employees. ALTA’s Land Title Institute has a vast array of educational tools waiting to fulfill those needs, and the Title Triumph Board Game, introduced in 2003, is a great addition to any company’s training library. Hernando de Soto said that in the transfer of real estate, trust is built around the services the title insurance and settlement services industry provides to the transaction. There would not be a credit market if there was not trust, and there would be no credit market without the documentation of the transfer of property. In a move aimed at strengthening the land title industry by protecting the association’s top industry product, the American Land Title Association has launched an initiative to license the use of its uniform title insurance policy forms. 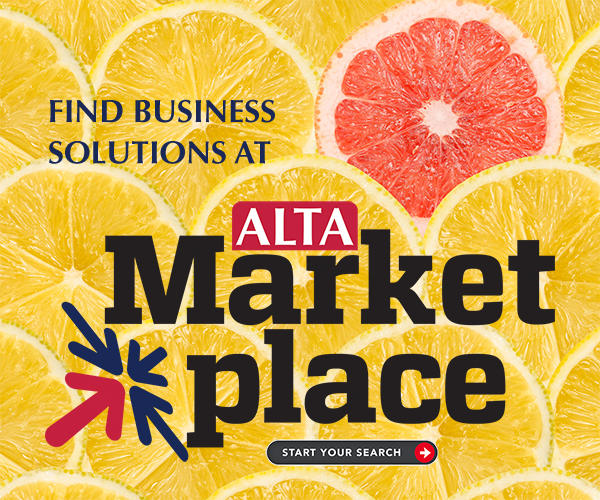 Click here to listen to Mike Pryor explain the importance of ALTA’s policy forms and the reasoning behind protecting its premier product. The number of refinance requests for the first half of October versus the first half of September increased by 39 percent, making up more than half of all consumer loan requests, according to Zillow Mortgage Marketplace. Compiling information provided by its RESPA Implementation Taskforce, ALTA’s Land Title Institute has released a 70-minute training CD designed to provide best practices for implementation of the new GFE/HUD-1. The list contains only national banks and insured federal branches of foreign banks that have received ratings. According to Darryl Turner, CEO of the Darryl Turner Corp., he helped a West Coast title agency develop more than 1,700 additional orders in six months -- all from newly converted customers. An amendment proposed to scale back the Consumer Financial Protection Agency’s oversight of the title insurance industry passed by a unanimous voice vote in the House of Representatives Financial Services Committee on Wednesday. Read on for a summary of the U.S. Court of Appeals for the 3rd Circuit opinion, Nationwide Life Insurance Company vs. Commonwealth Land Title Insurance Company, which explains the nationwide ramifications as to how standard ALTA policy forms must coordinate, and the language and risk-establishment processes mandated by the opinion and clarifies where risk should be established between the insurer and the insured mortgagee as to applicable restrictions found in the chain of title. The county’s district attorney reported it has identified as many as 400 properties that have essentially been stolen through forged documents and phantom or phony buyers. The lenders that originated the most loans that went into default last quarter were Countrywide (7,583), Washington Mutual (5,146) and Wells Fargo (4,425), according to DataQuick. The Mortgagee Review Board is considering sanctions against the FHA lender as four employees are subject to sanctions and penalties. The financial crisis has brought a flood of lawsuits filed against mortgage lenders by borrowers facing imminent foreclosure. On Sept. 24, the U.S. District Court for the District of Arizona, dismissed all the federal and state law claims made by three borrowers in a complaint filed against a group of defendants that included their mortgage lenders and the Mortgage Electronic Registration System. The number of states that have passed data security laws now stands at 46. This means companies need to put in place a detailed data security plan to ensure the protection of sensitive customer information in their possession. Read on to learn how to protect the information on your company’s laptops and not run afoul of data security regulations. The American Land Title Association (ALTA) and the American Escrow Association (AEA) jointly sent a letter to the Federal Trade Commission (FTC) seeking guidance on the Red Flags Rule, which goes into effect Nov. 1.
eLynx said its offering will help lenders ensure borrowers and settlement agents have a better experience at the closing table. According to court documents, the former owner of USA Title helped close fraudulent deals involving 12 properties in Missouri worth $2.7 million. ServiceLink announced that George Schwartz, former managing director for Bank of America, has been named executive vice president and division president of default services. The state’s superintendent of insurance said the department will combat the increase in premium theft and other related crimes. Read on to learn what other states have done over the past couple of years to thwart defalcations. Title agents in Florida and Minnesota were charged for stealing money from their agencies’ escrow accounts, while a third agent in Pennsylvania was sentenced to seven and a half years in prison for stealing more than $1.7 million in mortgage and tax payments. The ratings firm said the outlook of title insurance industry remains negative, but added that the underwriters now reaching the point where expenses are “right-sized” relative to revenues to allow modest profitability. Westcor Land Title Insurance Co. credits its independent-agent network for the ability to sustain and grow market share. The company will discuss its third-quarter 2009 results at 3 p.m. EST, Oct. 22. The new company has added a number of executives and opened new customer support centers to aid national mortgage lenders, investors and servicers. Fannie Mae recently issued new rules pertaining to its underwriting and eligibility policies, including changes to the HUD-1. Read on to learn how the changes impact escrow closing states, whether or not the buyer and seller need to sign the same document, and if a new HUD-1 is required if slight changes were made after one party signed the document. The Buyer’s Choice Act mandates buyers of bank-owned properties have the choice of selecting the title insurance agency and/or escrow office to handle the transaction. In an effort to reduce expense and focus on its Midwestern, rural expertise, Dakota Homestead Title Insurance Co. will cease doing business in Massachusetts and Connecticut at the end of October. The company said it has built the mortgage industry’s most comprehensive national fraud data repository to help clients combat all types of mortgage fraud and to further enhance the predictive performance of its anti-fraud solutions. Maricopa, the state's largest county, reports that nearly 75 percent of all documents presented are recorded electronically. Caterina Tosello has been appointed as country and regional market director, and will be responsible for developing and maintaining Stewart Title’s business in Italy, while Stewart Title Costa Rica has expanded in the Caribbean. The extension and expansion of the $8,000 first-time homebuyer tax credit would greatly stimulate the housing market and propel the country onto further recovery, while the creation of a Consumer Finance Protection Agency (CFPA) would impose many unintended consequences on small businesses including title agencies and escrow operations, American Land Title Association President Mike Pryor told members of Congress. The American Land Title Association’s RESPA Implementation Taskforce had meetings with both the U.S. Department of Housing and Urban Development and the Mortgage Bankers Association’s working group Oct. 6 to discuss unresolved issues surrounding the new GFE/HUD-1 forms. The Minnesota Department discovered Scenic Title did not remit title insurance premiums to its underwriter for at least 237 transactions. Matthew Lichtner will be responsible for increasing Stewart’s services to existing clients, as well as helping SLS enter into new strategic lender relationships with a primary focus on the nation’s top 20 lenders. Fidelity will release third-quarter 2009 earnings after the close of market trading Oct. 21 and hold a conference call at 9 a.m. Oct. 22. The Law Firm of Baillie & Hershman P.C. has hired Sharon Dunlap will build and expand client and corporate relationships on behalf of the firm, and will work closely with the firm’s subsidiary, Associated Attorney Title & Closing Co. This version simplifies the merging of data types, according to the Mortgage Standards Industry Maintenance Organization. Woodbury, N.Y.-based Titleserv National said it has hired Mitchell Oringer and Richard Fikani to lead the formation of TitleServ National Default Services. Thomas Gray has joined Old Republic National Commercial Title Services, which has expanded its footprint in 11 major real estate markets. Fannie Mae and Freddie Mac refinanced more than 3.2 million mortgage loans in 2009 through August of this year. Insurance regulators explored what occurred with mortgage-backed securities, and how the Nationally Recognized Statistical Ratings Organizations were slow to detect these problems that were first evident during the third quarter of 2005, and why these signs of weakness were ignored by the rating agencies until late 2007. The Federal Housing Administration has delayed the implementation of rules that could make life more difficult for condo buyers in the metro Chicago real estate market and across the country. The delay should be especially helpful for those hoping to qualify for the first-time buyer tax credit that expires after Nov. 30. Brooklyn, N.Y.-based ClosersConnect.com recently opened providing title companies a single portal and resource to help streamline and simplify the task of finding qualified notary closing agents across the country. Hernando de Soto, the keynote speaker at the 2009 ALTA Annual Convention, describes the root cause of the current economic crisis: trillions of dollars of financial instruments derived from bad mortgages that were sliced, diced and repackaged into huge clumps of financial products that have contaminated the market and threaten to destroy one of the greatest achievements of property law and hence Western capitalism: the power to identify and isolate with precision every asset and every individual interest in that asset. In launching our first ALTAcast, we talked with Mary Schuster, a member of ALTA’s RESPA Implementation Taskforce and director of operations for RamQuest, who discussed the taskforce’s efforts over the past several months to get the industry’s questions answered regarding the new GFE and HUD-1 forms that will become mandatory Jan. 1, 2010. Fiserv’s Loan Fulfillment Solutions provides financial institutions outsourced home equity loan fulfillment services, including closing and settlement services, broker price opinions, valuation services, flood and title certification, home retention and loan modification solutions, portfolio and vendor management solutions, and related services. Alliant National Title said it has more than doubled its independent agent size over the past 12 months, while expanding its geographical footprint. The American Land Title Association is proud to announce its Board of Governors has awarded long-time industry advocate Mark Bilbrey an Honorary Membership. TSS Software said its new version is designed to help TitleExpress users meet the new requirements mandated by HUD effective Jan. 1, 2010. New Jersey-based RedVision, a national provider of real property research solutions, announced it has been named the New Jersey Technology Council’s Software/Information Technology Company of the Year for 2009. A bill that has already passed the U.S. House and could soon have a counterpart in the Senate, would require homes that qualify as federally related transactions” to undergo an environmental inspection. Read on to learn how this could impact the ability to sell older homes. HUD will cut the principal limits for its reverse mortgage program by 10 percent effective for all loans on which applications are taken on or after Oct. 1, 2009. Read on to learn if this could impact the volume of reverse mortgage transactions. While as many as 40 percent of all home buyers this year will qualify for the tax credit, it is on track to cost the government $15 billion. In the view of the real estate industry and some economists, all that money is well spent. Read on to learn why many believe the $8,000 tax credit should be extended and expanded. The new program will assist troubled borrowers by expediting the home sale process. The convention was attended by three American Land Title Association representatives including CEO Kurt Pfotenhauer, President Mike Pryor and Treasurer Mark Bilbrey, as Amy Kaspar was sworn in as OLTA president. Texas Land Title Association wins 2009 Associations Advance America Award of Excellence for sponsoring an initiative promoting ongoing maintenance of Texas’ historic county courthouses. The top five countries of origin for foreign buyers were Canada, with 17.6 percent of buyers; the United Kingdom, 10.5 percent; Mexico, 9.8 percent; India, 8.5 percent; and China, 5.4 percent. Read on for more on a profile of international home buying activity. Most in the industry think of vendor management as being very large scale, central processing centers in Pittsburgh or Cleveland. But there may be an opportunity for title agents to create a local environment for vendor managers with local lenders. Read on for implementation suggestions and what kind of financial results to expect. In order to breathe life back into your company, there are a few simple steps to take, according to Darryl Turner, founder and owner of The Darryl Turner Corp. Read on for some of his advice. The Frequently Asked Questions document now includes a table of contents and is 43 pages. Stewart Lender Services has brought on Marvin Stone and Laurie Pyle to expand the company’s participation in the growing eMortgage market. Over the past year, home prices are down 4.2 percent, according to the Federal Housing Finance Agency. The subprime implosion two years ago forced title agents to go on high alert to follow a good-funds policy and make sure funds are in hand before disbursing. Several states have taken notice as well, crafting legislation over the past year modifying how funds are handled at the closing table. Check fraud is big business, and often involves criminal gangs that are both clever and resourceful. Read on to learn several strategies to protect your title agency from accepting counterfeit checks. Despite an increase in refinance activity and the continued reduction of operating expenses, the title insurance industry posted an operating loss of $68.8 million during the second quarter of 2009. The Illinois Land Title Association recently honored Michael Brandt, vice president - Claims and Legislation for Attorneys` Title Guaranty Fund, as a recipient of its 2009 President`s Award. The Federal Reserve's interest-rate-lowering actions, in combination with the Home Affordable Refinance Program, could result in $11.5 billion in mortgage payment savings over the next five years. A survey revealed a third of small business owners can’t afford to provide health insurance for their employees, while two thirds said they are not confident in selecting a policy that fits their budgets. The hearing will examine the role of these credit rating agencies in the insurance regulatory system and what changes may be needed in light of the financial crisis. While the nation is squarely focused on reform for the health and financial industries, little attention has been given to a bill deemed the “largest federal land grab in our nation’s history” and could significantly impact the sale of private property. Read on to learn more about a bill that is expected to come before the Senate this fall. On Sept. 9, the U.S. Department of Housing and Urban Development provided another round of updates to its Frequently Asked Questions document regarding implementation of the Final RESPA Rule that goes into effect Jan. 1, 2010. All insurance entities that do business in the state of Ohio will be required to submit rate, rule and form filings for all lines of insurance electronically using the System for Electronic Rate and Form Filings by Dec. 31. Rhode Island-based Linear Title & Closing will use the TitleHound software technology to produce a settlement fee certification to help lenders meet new Truth In Lending requirements. Simplifile announced that Cass County and Burleigh County, N.D., and Clay County, Minn., will officially begin electronically recording land record documents. The American Land Title Association has announced 2010 nominations for its Board of Governors and Section Executive committees. ALTA will vote on the 2010 leadership at three meetings during the Annual Convention, being held Oct. 21-24 at the Breakers in Palm Beach, Fla. The Abstracter & Title Insurance Agents Section Executive Committee will meet at 8 a.m., Oct. 22. The Title Insurance Underwriters Section Executive Committee will meet at 8:30 a.m., Oct. 22. The Board of Governors meeting will be held on the final day of the convention, at 10 a.m., Oct. 24. Each year at the Annual Convention, ALTA membership approves new leadership and considers changes to the Bylaws. The ALTA Nominating Committees take on the important task of reviewing leadership and developing a slate of nominees to serve on the Board of Governors and the Section Executive Committees. The following slate of nominees will be voted on during the Annual Convention. For Nominations and Election procedures, please see the ALTA Bylaws Article IX, Sec. 1 and 2. Click here to see the 2010 nominations for its Board of Governors and Section Executive committees. Cyber crimes are growing exponentially. Is your title agency set up to protect itself from viruses that can track keystrokes? Can it thwart illegal transfers from bank accounts? If not, you will want to read on for some helpful advice on safeguarding your company. New statistical plan regulations filed by the California Department of Insurance went into effect Sept. 3, requiring underwriters to file data reports, which includes providing both title and escrow loss and loss adjustment expenses. Many workers can become addicted to their own adrenaline. They love the rush they feel when they are stressed to the max and pumping hard. These workers may crash and burn before they’ll seek help for their addiction and drive at work. Wise employers will monitor employees and notice if they are in danger of experiencing burnout. Is their job satisfaction and job performance declining? Does work seem harder to manage? Read on to learn how to spot and prevent employee burnout. After spending the past five years guiding LandSafe to significant growth as a subsidiary of Countrywide and now owned by Bank of America, Todd Baur will head up Boston National Settlement Services. The sole officer and director of Day Title was sentenced to seven years in prison for stealing more than $3.4 million from the company’s escrow accounts. Florida-based TitleSoft Inc., a software developer, has announced an update to its INTELLAclose for Windows Title and Closing Platform. The Buyer’s Choice Act mandates that buyers of REO properties have the choice of selecting the title insurance agency and/or escrow office to handle the transaction. The Federal Deposit Insurance Corp. extended its standard insurance coverage amount of $250,000 per depositor through Dec. 31, 2013. HUD’s document providing guidance on the Final RESPA Rule has grown from 16 to 31 pages as 20 more additional FAQs have been provided to help the industry implement the new regulation by the Jan. 1 deadline. According to the indictment, former National Football Player Eugene Lockhart and eight others including several escrow officers and a general manager of a Texas title agency were accused of running a mortgage fraud scheme in the Dallas area from 2001 to 2005. Long & Foster named a replacement for David Stevens who left to head the FHA earlier this year, while Cincinnati, Ohio-based Reisenfeld & Associates hired a general counsel for its title affiliate. In a move aimed at strengthening the land title industry by protecting the association's top industry product, the American Land Title Association has launched an initiative to license the use of its uniform title insurance policy forms. Read on to learn more about the new policy. Not long after the Department of Housing and Urban Development (HUD) issued its long-awaited guidance to the rules under the Real Estate Settlement Procedures Act (RESPA) that are to be implemented on Jan. 1, 2010, the agency issued an updated version of its guidance that removed one of the FAQs. The American Land Title Association has responded to drafted regulation by the New York superintendent of insurance that could significantly reshape how the title insurance industry conducts business in the state. The First American Corp. is marking 120 years of service to the real estate and mortgage industries as it reaffirms plans to separate its Information Solutions and Financial Services businesses, creating two new publicly traded companies, as soon as the first half of 2010. Darren Ross, an industry veteran who made significant technology contributions to the title and property records industry, passed away on Aug. 29, 2009. HomeServices of America, which is a Berkshire Hathaway affiliate and operates 15 affiliated title agencies in 15 states, has acquired Koenig & Strey GMAC Real Estate. Wells Fargo/Wachovia Bank was the largest commercial and multifamily servicer through the first half of 2009, according to the Mortgage Bankers Association. Responding to a letter submitted in January by the American Land Title Association, the U.S. Department of Housing and Urban Development denied that it requires buyers of HUD-owned homes use preferred providers of title insurance and closing services. David Stevens, HUD assistant housing secretary and FHA commissioner, said nothing has persuaded him to set aside or extend the new RESPA rule’s effective date. The 2008 Title Insurance Industry Data Book is a compilation of financial and market share data and is available on ALTA’s Web site. Urban Settlement Services recently partnered with Mortgage Cadence in an effort to automate its loan modification process. Pittsburgh-based Urban Settlement Services has selected Mortgage Cadence Inc. to replace its primary analytic and document solution in an effort to streamline its loan modification process. Stewart Title Guaranty’s James Gosdin and Bruce Hawley have each been selected to leadership positions in the American Bar Association section of real property, trust and estate law, while Kathryn M. Colson and Carey Allaband LeRoux have been named managing directors of business development for TitleVest. Evolving with industry needs, Elliott & Waldron Abstract Co. of Palo Pinto has shifted from primarily providing abstracts to getting nearly all of its business through issuing title policies. Title insurance premiums continued to decline during the second quarter of 2009 compared to the same period a year ago, but are showing signs of recovery, according to the latest market share analysis released by the American Land Title Association. Representatives of the U.S. Chamber of Commerce warned more than 200 participants during a conference call the negative impact the proposed Consumer Finance Protection Agency will have on the business community, including the title insurance industry. The Property Records Industry Association restructures its Property Records Education Partners Workgroup, which has organized chapters in 26 states. Mortgage fraud is expected to increase over the next three years as a large number of adjustable rate mortgages reset between now and the first quarter of 2012, according to a quarterly fraud index by Interthinx. U.S. home prices fell 0.7 percent in the second quarter of 2009 from the first quarter of 2009, according to the Federal Housing Finance Agency’s seasonally-adjusted purchase-only house price index. Despite recent economic conditions, RamQuest, a privately held company, continues to operate with positive operating cash flow and no debt. Colorado, Delaware, Illinois, Maine and Nebraska will each receive money from the American Recovery and Reinvestment Act. Title insurers, the most battered sector, saw another big year-over-year decline of 15.5 percent to 70,100, though employment was up from May to June to handle the spike of refinance orders. The expansion of Westcor Land Title Insurance into the mountain states will provide services to title agents in Idaho, Utah, Montana and Wyoming. A conference call to discuss, H.R. 3126, the Consumer Financial Protection Agency Act, will be held at 12 p.m. EDT on Aug. 26. As the fall flu season approaches, it is critical companies begin efforts to mitigate the effects of this virus. Old Republic National Title Insurance Co. announced personnel changes, including the addition of a former U.S. Treasurer to its team and promotion of a manager to oversee agency relations with members of Attorney’s Title Fund Services, while Stewart Relocation Services named a new relocation manager. States participating in the group include Arizona, Colorado, Illinois, Iowa, Nevada, North Carolina, Massachusetts, Missouri, Ohio and Washington. Read on to learn who is now leading Ohio-based Resource Title’s REO and default division, and who has been added to Wisconsin Title, Closing and Credit Services’ sales and marketing team. Pulte Home Inc.'s $1.53 billion takeover of rival Centex Corp. was approved by shareholders of both companies, creating the largest homebuilder in the United States. According to Freddie Mac, 99 percent of prime borrowers who originally had a conforming ARM selected a new conforming fixed-rate mortgage when they refinanced. The Minnesota Supreme Court recently cleared the MERS of allegations that it violated state law by failing to disclose which lenders actually owned a homeowner's mortgage. An underwriter domiciled in Florida and licensed to write title insurance policies in six other states was ordered into rehabilitation by the Second Judicial Circuit Court in Leon County, Fla. The two proposed bylaw amendments would alter the procedure for naming a new president-elect if the office becomes vacant and lower the number of board of governors from 12 to 11. The president of a New York-based title agency was indicted Aug. 19 on charges that he allegedly misappropriated and embezzled more than $4.7 million of escrow and other operation funds. The majority of ALTA members selected St. Louis over Kansas City, Mo., as the destination of ALTA’s 2010 Business Strategies Conference, according to ALTA’s online poll. Cleveland title company continues national growth with addition of another experienced VP. Underwriter Opens Four Offices in N.M.
Old Republic National Title Insurance Co. recently opened four offices in the Albuquerque, N.M., area. Stewart Title Co. and ZK Homes, an eco-friendly luxury home builder, recently partnered to offer the Greater Houston area a green closing process. The title production software provider has spent several months serving on ALTA’s RESPA Implementation Task Force. Simplifile recently announced that Blue Earth and Morrison counties in Minnesota have began electronically recording land record documents. Read on to find out which companies became the newest ALTA members. Starting Aug. 11, the American Land Title Association will begin sending its e-news publication, TitleNews Online, every Tuesday and Thursday. Title Alliance, Ltd. recently expanded its reach in the northern Ohio marketplace with the acquisition of two joint ventures. The third largest credit union in the United States has partnered with a mortgage services provider to form a multi-state title operation. Fannie Mae has issued Announcement 09-04: Home Affordable Refinance - New Refinance Options for Existing Fannie Mae Loans to describe new refinance options for existing Fannie Mae loans only. This Announcement follows the Treasury Department's announcement today of the creation of the Making Home Affordable program, a key component of the federal government's Homeowner Affordability and Stability Plan (HASP). Twenty percent of all U.S. residential properties that had a mortgage on them were underwater at the end of December, with mortgage debt greater than what the homes were worth, according to a report released Wednesday by First American CoreLogic. Fairly or not, Countrywide Financial and its top executives would be on most lists of those who share blame for the nation’s economic crisis. After all, the banking behemoth made risky loans to tens of thousands of Americans, helping set off a chain of events that has the economy staggering. Sanjiv Mirchandani, a 15-year Fidelity Investments veteran, has been named president of National Financial, a provider of clearing, custody and brokerage solutions to more than 300 broker/dealer firms. Mirchandani succeeds Norman Malo, who retired earlier this year, and will report to Charles G. Goldman, president of Institutional Platforms, Fidelity Investments. The Obama administration hopes to tap the rich to help pay for its ambitious programs. Specifically, that would include slashing mortgage interest deductions for high-income taxpayers. Lawmakers balk at proposal to change bankruptcy law to allow judges to adjust mortgage terms - a measure central to Obama's foreclosure effort. How to rescue housing? The Obama administration doesn't have a plan -- or, more accurately, it has only half a plan. It presupposes that preventing or minimizing home foreclosures is a formula for revival. It isn't. A U.S. bankruptcy judge on Thursday granted a motion filed by bankrupt title insurer LandAmerica Financial Group Inc (LFGRQ.PK) allowing it to sell its stake in Fidelity National Financial Inc (FNF.N), court documents showed. The First American Corporation, America's largest provider of business information, today announced financial results for the fourth quarter and 12 months ended Dec. 31, 2008. AllRegs has provided members of the National Association of Mortgage Brokers with fully-sponsored access to federal compliance and pending legislation. PriceMyLoan, a provider of automated underwriting and loan pricing technology, announced last week a partnership with Del Mar DataTrac to deliver an integrated solution for mortgage bankers. Financial transactions are getting more complicated, according to lawmakers, regulators and activists such as the Consumer Federation of America, who are pushing for easier-to- understand contracts. Stewart Information Services Corp, which runs one of the largest U.S. title insurers, posted a wider-than-expected quarterly loss due to lower title insurance revenue given a precipitous drop in real-estate prices, sending its shares down as much as 15 percent. There is certainly a place for the fee-for-service agent in the world. Is it a good change that the entire industry should embrace? The jury is still out. There are too many factors that could affect the whole and there's no way to tell which way they will fall. This is just the briefest look into what COULD happen. Investors Title Co. swung to a loss in the fourth quarter as the insurer wrote fewer premiums and recorded a larger provision for claims. The Chapel Hill insurer said Tuesday that it lost $3.95 million, or $1.72 per diluted share, in the fourth quarter. High-tech real estate company Redfin today announced the launch of a referral network that seeks to grow the company's reach to new markets without adding more feet on the ground. MDA DataQuick has announced updates to its services to ensure compliance with regulatory changes in various states concerning the services title companies can provide to clients, including non-public real estate information. There's a shake-up going on in the arcane world of title insurance that could save consumers in Connecticut and many other states hundreds of dollars when buying or refinancing a home. "What's going to happen when the first new Good Faith Estimate (GFE) comes through the pipeline? Will my clients be ready to turn the new HUD-1 around if they aren't familiar with it?" These are serious questions, but they have not yet entered the public spotlight. In late 2008, The Department of Housing and Urban Development (HUD) published a final rule resulting in the long-anticipated reform of the regulatory scheme surrounding the Real Estate Procedures Act (RESPA). If you're thinking of buying a home, there could be a big bonus for you in the economic stimulus bill that's now before Congress. The gloves have come off as former LandAmerica customers fight to retrieve money they gave to the company to hold for a few months. Lawyers representing former customers of LandAmerica’s 1031 Exchange business have filed two class action lawsuits against the company, alleging that the Richmond-based firm committed fraud and was using money from new customers to pay existing customers. Easy Soft, an industry leader in law office automation software and services, today announces the launch of their real estate closing software product, Easy HUD 3.0. The product has been updated to meet all RESPA Final Rule requirements that took effect January 16, 2009 by the U.S. Department of Housing and Urban Development. The Streamlined Modification Program (SMP) was developed in collaboration with the Federal Housing Finance Agency (FHFA), the Department of Treasury, Freddie Mac, and members of the HOPE NOW Alliance. After Fidelity National Financial Inc. bought out LandAmerica Financial Group Inc.'s primary title insurance subsidiaries, the Florida company cut 27 percent of the inherited workforce. Fidelity also closed 125 offices during the first month it owned Lawyers Title Insurance Co., Commonwealth Land Title Corp. and United Capital Title Insurance Co, according to an earnings report released today by the company. The dividend will be payable March 31, 2009, to stockholders of record as of March 17, 2009. LandAmerica Financial Group Inc., a bankrupt Henrico County-based company with Richmond roots dating to 1925, is closing down. LandAmerica filed notice with the state that all headquarters jobs would be phased out by Dec. 31. Mortgage Spirit, a Denver-based provider of revenue management and loan search and pricing technologies for the mortgage industry, announced the Aspen, Colo.-based Aspen Mortgage Group selected Mortgage Spirit for its loan officers. Old Republic's consolidated operating results, which exclude net investment gains or losses, declined significantly in both the fourth quarter of 2008 and for the year then ended. Substantially all the reduced performance stemmed from continued weakness in the Company's mortgage guaranty and title insurance lines. Fidelity National Financial, Inc. (NYSE: FNF), a leading provider of title insurance, specialty insurance, claims management services and information services, will release 4th quarter 2008 earnings before the open of regular market trading on Wednesday, February 4, 2009. Ameriana's ownership interest in ITIC is 20.94%. The Company expects to incur a loss of approximately $225,000 on the sale of this interest.